We require a full payment of the purchase price 10 days before shipping or Pick-Up date. We accept "Bank wires" and Credit Cards. We accept personal check. How-ever, they must clear our bank prior to shipping. Reservations are taken on a first come basis. The shipping is not included in the price of the puppy and is an additional $480.00, which includes; 300 OR 400 series airline approved crate (this size is very comfortable for the puppy and is approved by us), a health certificate, transport fees and Airfare. IF YOU NEED SEND PAYMENT VIA BANK WIRE, PLEASE US KNOW SO WE CAN PROVIDE YOU WITH OUR BANK WIRE INFORMATION. The shipping is not included in the price of the puppy. 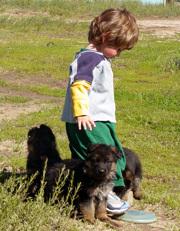 Please refer to our "Pet Transport" Page. 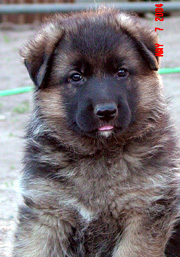 WE BELIEVE IN OUR GERMAN SHEPHERD BREEDING PROGRAM, YOU SHOULD TOO!